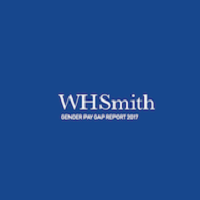 WH Smith Plc (LON:SMWH), today announced interim results for the six months ended 28 February 2019. “The integration of InMotion is progressing well. This acquisition doubles the size of our business outside of the UK where we are now present in 99 airports and 30 countries. We won a further 21 units in the period, including two InMotion units in Australia and Spain, highlighting the potential of this business outside of the US. “These results are only possible through the hard work of all of our teams across the business and I am sincerely grateful for everyone’s continued support. Click SMWH for the full archive.